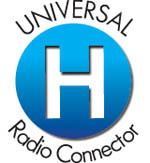 H-Termination Radio Accessories can now fit to Multi-Platform Radio fleets with this universal interface. Dealers carry less stock and can sell to many customers with one accessory. H-Termination Radio Adaptors for all major brands and models. 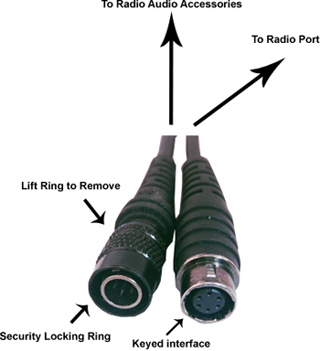 Rapid and secure termination of accessories without affecting or damaging the radios audio port. Unsecured Radio Audio Connections have a cable tail to provide strain relief. 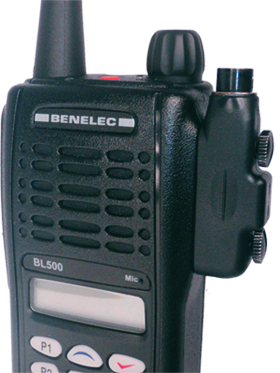 Comprehensive range of Benelec high performance Audio Accessories available for H Terminations. The H Termination Adaptor has been established to provide mechanical strength at the termination to the radio and still provide the ability to easily change the Earpieces between shifts. The inline plug and socket are keyed so they will only go together in one direction. To fit them together mate the two sides together and gently rotate the plug until they locate, then just push them together until they lock together home. To separate the plug and socket slide the outer sleeve of the plug up towards the earpiece and you should be able to pull them apart easily.